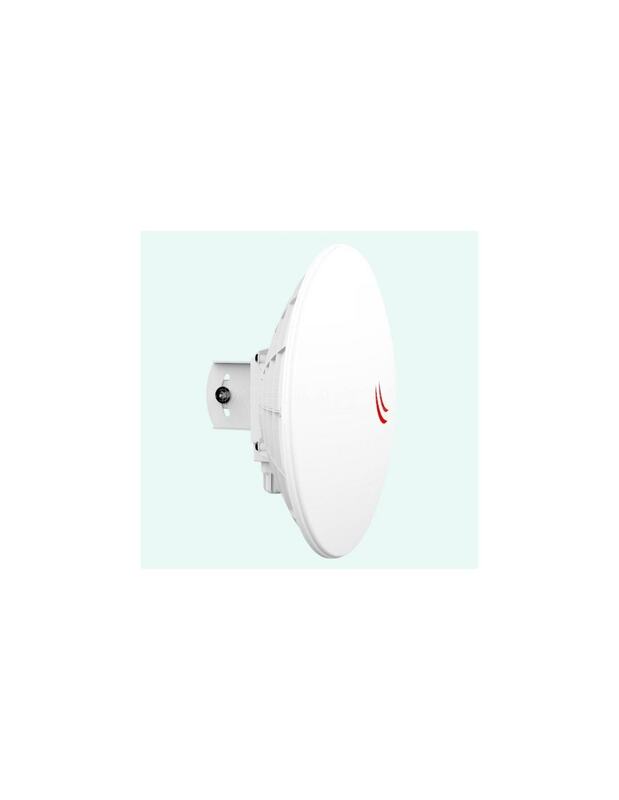 The RBDynaDishG-5HacDr3 from MikroTik is an outdoor 5GHz wireless device with an integrated 25dBi antenna powered by a 720MHz processor. 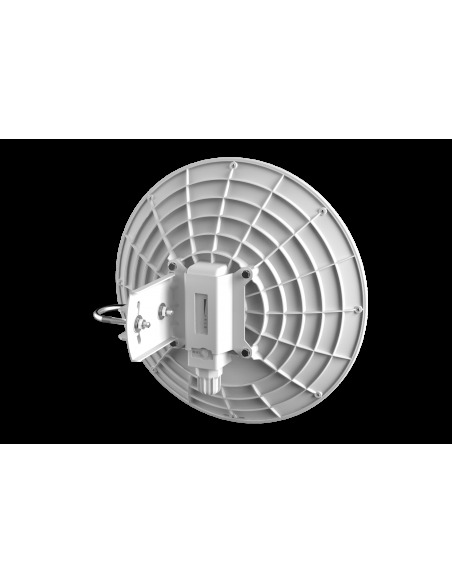 Compact in design, the DynaDish 5 is a completely integrated product with everything you need to quickly install a reliable, fast point to point wireless link. This MikroTik device is powered by RouterOS, a full-featured routing operating system with features such as dynamic routing, hotspot, firewall, MPLS, VPN, advanced quality of service, load balancing and bonding, real-time configuration, monitoring, and more. 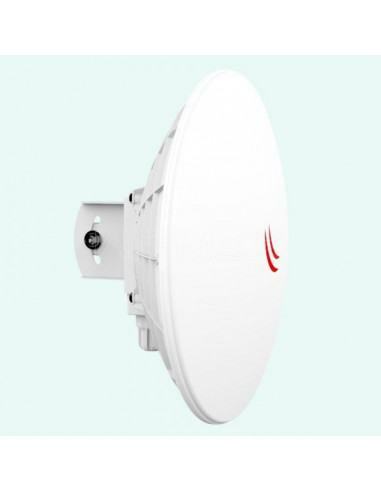 This product comes with a Level 3 RouterOS license.